With spring nearly upon us, many of us have thoughts of organization and decluttering on our minds. 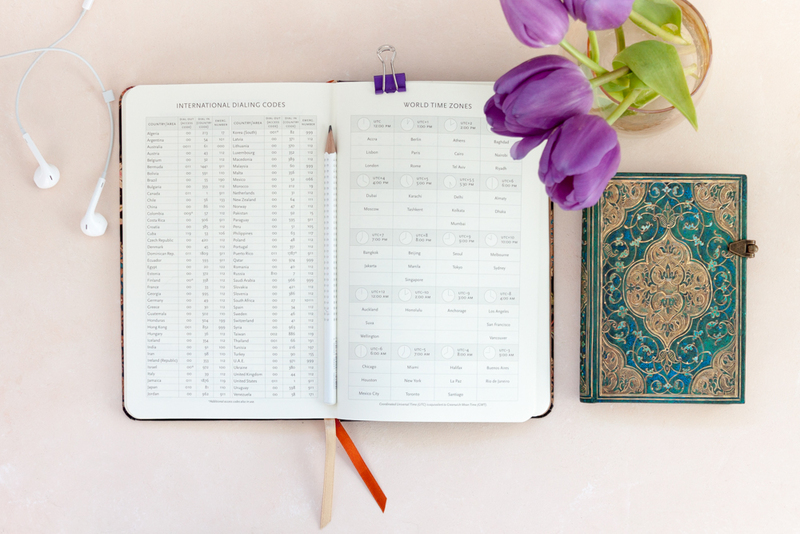 Here on the Endpaper blog, we of course are championers of the dayplanner and the many ways it can organize and declutter our minds as well as our lives. 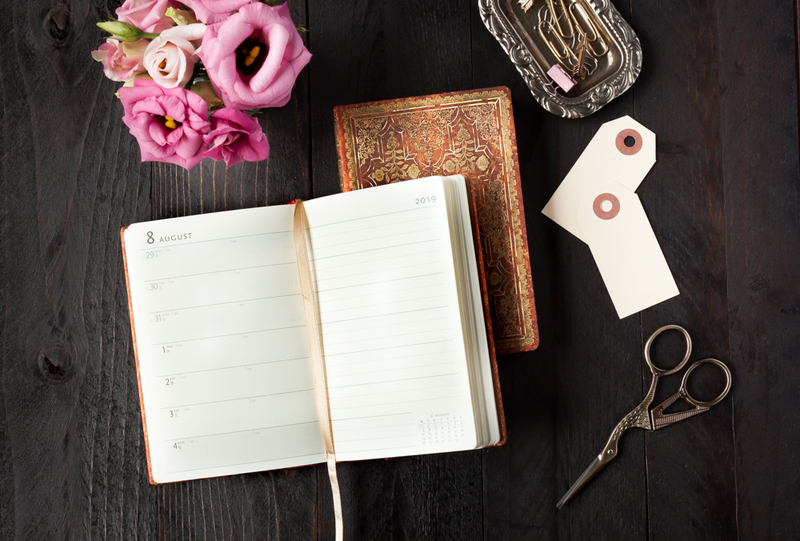 For those who need to spring clean their daily routines this season, we’ll talk through five of the ways you can get the most out your trusty dayplanner. Perhaps the most important way to make the most of your dayplanner is to set aside time to write in it. If once a day is too much (and unrealistic for you), then aim for at least once a week. Sticking to a regular schedule will ensure you start to make tracks with your planning and reaping the benefits of sticking to your goals and staying on top of your projects and deadlines. Planning is a process, and along the way you will figure out what parts of it resonate with you and work best for your strengths and personality. For example, some people are natural organizers and some need a slightly chaotic structure in order to make sense of things. Whatever your preference is, any method is fine, as long you are receiving positive benefits from keeping your day planner. With the abundance of apps at our fingertips, it’s tempting to manage your schedule completely on your smartphone, but if you’re thinking of trying a digital detox this spring there’s no better time to get back to basics. After all, nothing can replace the satisfying feeling of checking in with your planner every day and the feeling of accomplishment that goes along with crossing off your tasks. Writing by hand forces you to slow down your thinking and the way in which you reflect and approach your planning. Being more mindful can lead to a host of benefits. We’re well versed on the positives of writing things down, but there’s no harm in a little science to convince us of what we already know. Research has proven that writing by hand improves how well you retain information. “When we write, a unique neural circuit is automatically activated,” according to Stanislas Dehaene, a psychologist at the Collège de France. “There is a core recognition of the gesture in the written word, a sort of recognition by mental simulation in your brain. And it seems that this circuit is contributing in unique ways we didn’t realize…learning is made easier.” Learning how to more easily stay on top of our daily tasks and appointments is certainly something we would welcome. The more specific you are with your steps, the more easily you will be able to check tasks off your list. From errands to big projects, small actionable steps lead to success. By breaking actions down, you’ll also have a better idea of the time frame of your tasks and how big of a slot you need to assign in your planner. A great part of keeping a dayplanner is that everything is in front of you – it’s a tangible piece of your life, an invaluable reference tool. 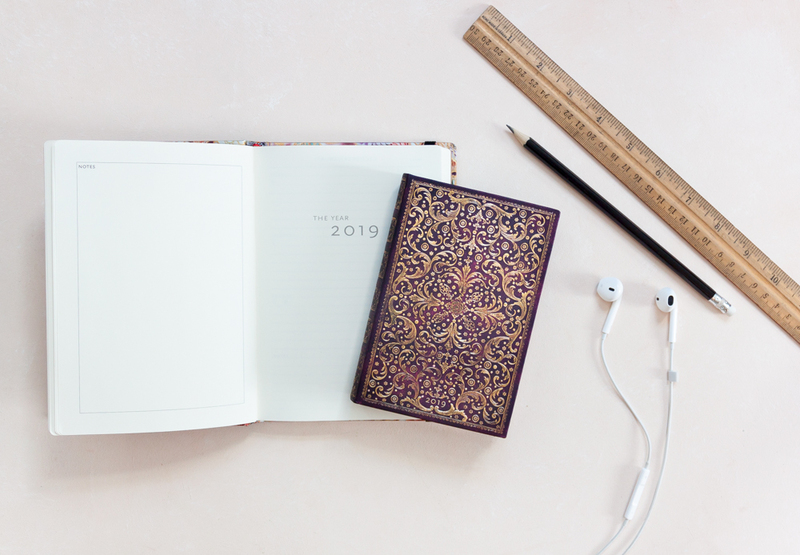 Use your dayplanner to reflect on the weeks and months that go by and take stock of how far you have come in setting and accomplishing tasks and goals. After all, tiny daily actions add up to a life. 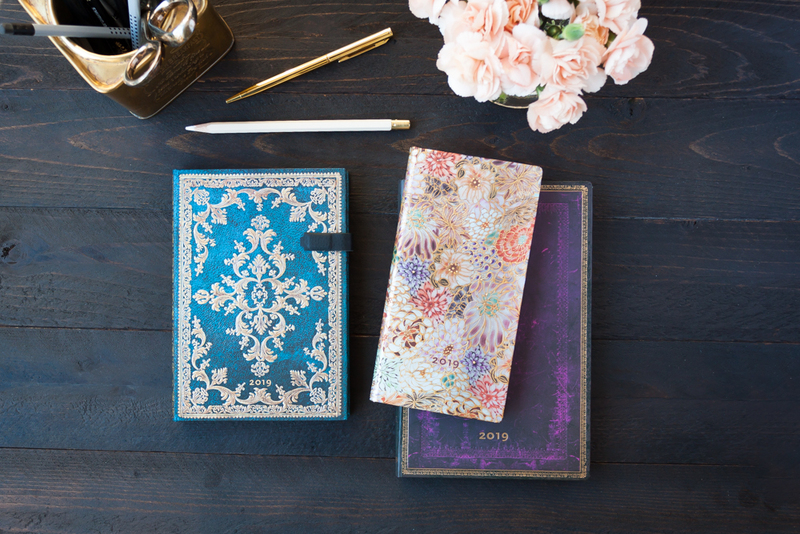 What will you fill your next dayplanner with? And if you need any inspiration, we are always here to help!